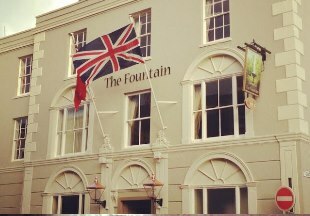 This pretty 17th Century hotel is right at the heart of the harbour village of Yarmouth, overlooking the Solent. Award winning brasserie, cosy wood panelled bar and comfortable lounge. Located in the heart of Cowes overlooking the River Medina, this traditional period inn has recently been refurbished and offers 20 comfortable en-suite bedrooms, traditional bar and restaurant. 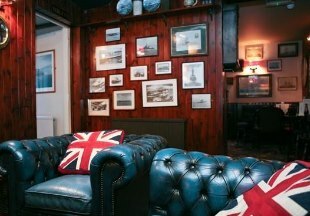 The oldest inn in Cowes, the Union is just a few minutes walk from the marina. But just because the inn is old doesn't mean you can't enjoy the latest facilities: each contemporary styled guest room boasts a sleek modern bathroom! Enjoy great food and real ales in the cosy bar and restaurant. The ferry terminal is just 200m from the inn. 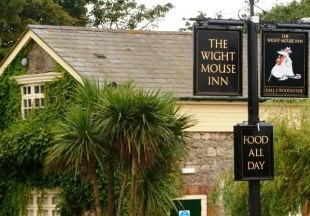 Situated in the village of Chale, just 10 minutes walk from Blackgang Chine, the 17th century Wight Mouse Inn enjoys spectacular views over the English Channel. The inn offers en-suite bedrooms with either sea or woodland views as well as a spacious restaurant, lounges and a traditional bar. Newport and Shanklin are both within a 20 minute drive of the inn. 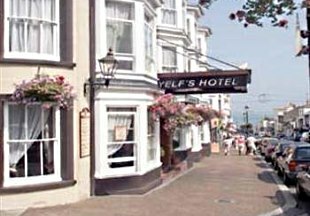 Yelf's Hotel is one of the oldest coaching inns on the Isle Of Wight and retains much of its original charm. There is a comfortable bar and lounge, restaurant, conservatory and patio. Situated on Union Street, close to the hovercraft and ferry services to Portsmouth and Southsea. The seaside village of Seaview is popular for its sailing and wildlife park. The Boathouse offers fine dining in a pub environment, with local fresh fish dishes, a daily specials board, vegetarian options, a smaller appetites menu and traditional pub favourites. Enjoy fine wines and real ales in the bar or in our garden overlooking the Solent. 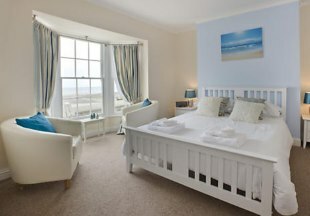 We have four lovely en-suite rooms, many with superb sea views. Seaview is 15 minutes by car from the ferry port of Ryde. Welcome to the Isle of Wight! The Isle of Wight is England's largest island, and is accessed by ferry. You can take the car by ferry from Lymington to Yarmouth, from Southampton to Cowes or from Portsmouth to Fishbourne. A passenger ferry also runs from Portsmouth to Ryde. Or for an unusual start to your holiday or break, why not take the hovercraft from Southsea to Ryde? The trip takes just 10 minutes! We have put together a selection of some of the best hotels and inns on the Isle of Wight. This island has much to offer the visitor: the famous Needles, Queen Victoria's Osborne House, historic Carisbrooke Castle, the yachting centre of Cowes, pretty Yarmouth and the seaside resorts of Ventnor, Sandown, Shanklin and Ryde. And where better to base yourself than at an inn? Here you will enjoy a warm welcome, great food, good company and comfortable accommodation - what more could you need? "The short ferry ride from Lymington in the New Forest is a great way to arrive on the Isle of Wight. Yarmouth is a very attractive town with a bustling harbour, perfect for a short break. 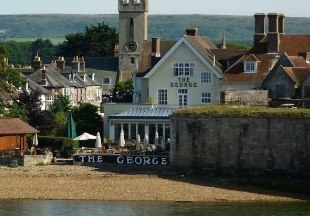 And the George Hotel is the place to stay here. It boasts an award winning restaurant with 2 AA rosettes for its food, and a great garden right by the water." Ferries to the Isle of Wight go from Lymington in the New Forest, Southampton and Portsmouth in Hampshire. If you want to widen your search, why not browse through our selection of hotels and inns in Hampshire and the New Forest.